Clear, consistent communication from leadership, across multiple channels, is essential to guide individuals to operate confidently at increased speed. Senior executives, senior staff, and middle managers must regularly communicate to the workforce, using meetings, program and portfolio reviews, memos and emails, public speeches, articles, and other forums, to reinforce the desired norms and behaviors. 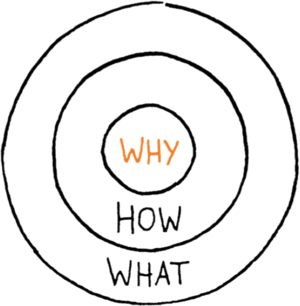 As Simon Sinek stresses, Start with Why. Leaders are able to inspire others by first communicating WHY they need to do what they do. Why do we need to deliver capabilities faster? In the Defense arena, there are several strategic initiatives that highlight DoD is losing its technological superiority over its adversaries. What keeps Gen Hyten, Commander of US Strategic Command up at night is not North Korea, but rather “the US has lost it’s ability to go fast”. With the commercialization and globalization of technology, the threats are increasing and our advantages are decreasing. While we spend billions on exquisite systems, our adversaries can spend thousands or a few millions to defeat our systems or attack us directly. Our legacy systems grow increasingly costly to maintain, require extensive manpower to operate and sustain, have increasing cybersecurity and other risks, with decreasing reliability, availability, and performance. We must continue to deliver a modern suite of capabilities to our warfighters to counter the threats and enable a decisive strategic operational advantage. If your workforce has bought into the why we need to go faster, they will work with you on the how and the what. Leverage existing communication reporting channels to inform leadership. Pass along leadership guidance insights to your team so they understand the Big Picture. Start communications with the “why go fast” first — then articulate the “how.